What is Antivirus Software + How Does it Work? This course will introduce the importance of Internet safety, including some of the various threats that it protects against. 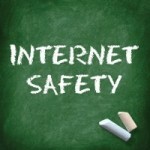 Users will learn general safety tips for using a computer on the Internet, as well as how to avoid or deal with specific dangers such as viruses/spyware, phishing scams, cyber-harassment, and Internet addiction.